For the past two years, Paper Nations have been working with NAWE as well as a range of other partners, to address the challenge of developing a culture for regular, high quality creative writing support for young people. Outcomes of the project, including the final consultation draft of the Paper Nations Benchmark for Young Creative Writers and Writer-Facilitators, were given extensive coverage in Writing in Education No. 76. Arts Council England commissioned an independent evaluation of their Creative Writing in Schools programme of which Paper Nations is a part, and a summary of the findings will be available here below from Monday 25 February 2019. 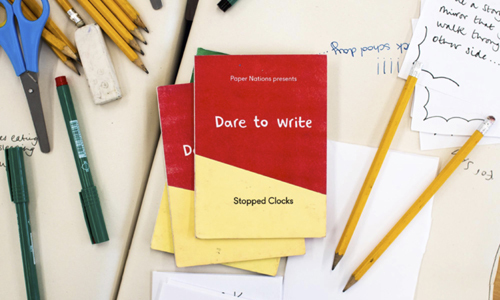 Arts Council England has released the findings and recommendations from an independent evaluation of the Creative Writing in Schools programme, which was delivered by partners Paper Nations and First Story. Around 3,000 children and young people aged 8-14 took part in the programme in 2015-18, which focused on areas of high deprivation across the North and South West of England. Independent evaluators, LKMco, have now released the results from the programme. Their evaluation includes recommendations of best practice on topics ranging from pedagogical technique to attaining adequate funding for writers working in schools. The programme helped pupils feel more confident as writers, which also increased their confidence in wider school life. While the programme provided new resources and helped writers and teachers to tap into existing networks, time and financial pressures facing schools and writers are significant, and largely persisted in the face of such activities. Paper Nations’ ongoing mission is to bring about change in the sector through collaborative research and creative investigation. The models co-developed with NAWE emphasised the importance of approaches to the art of writing that are inclusive, playful, and exploratory. 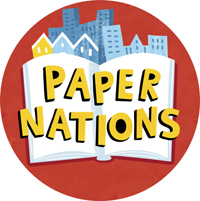 Over next few months, Paper Nations will continue work with its partners to develop and share resources that support the culture for writer development. Download the executive summary below to read about their recommendations for the creative writing sector or head to www.papernations.org to learn more about other resources that will be made available over the next few months. Our mission is to change the way creative writing is taught in schools. For more information, visit the Paper Nations website.